This statistic displays the distribution of the online audience of imore.com in Great Britain (GB) in 2018, by household income. 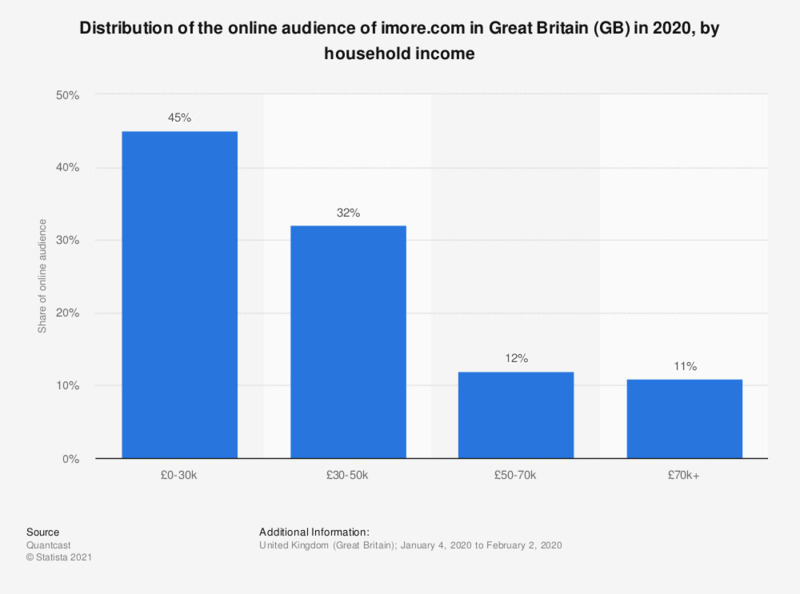 In 2018, 32 percent of the online audience of imore.com had a household income between 30,000 and 50,000 British pounds. "The percentage of this property's total audience that meets the given demographic criteria. We directly collect anonymous web and app usage data through the publishers and networks that use Quantcast Measure and have placed our pixel on their properties. We combine this with reference data from a small set of seed data, allowing our statistical models to accurately infer the demographic segments of a property's audience in aggregate."